Xvid is not a video format but a codec, or say, a program for compressing to and decompressing from the MPEG-4 ASP format. In addition, video encoded with Xvid is MPEG-4 ASP video (not "Xvid video"). Xvid is an open source MPEG-4 video codec designed for everyone. Xvid Codec is a codec for Windows that will let you get the most from your videos and media. Indeed, Xvid codec is easily encountered in daily life. It is worth noting that the file extension of Xvid video is .mp4, not .xvid. Therefore, we are likely not aware of it if an MP4 video is Xvid encoded. However, not all media players can play an Xvid encoded video natively. In order to solve such "Xvid video won't play Xvid encoded video" problem, people fall into two groups: one prefers downloading Xvid Codec; the other tends to converting Xvid video to a more compatible file. How to Download Xvid Codec on Windows (10) or Mac? 1. Xvid is open source for everyone. It is clean and has no virus or ad-ware. 2. Xvid Codec is strong in compression: Through it, a video can be compressed at a ratio of 200:1 or more compared to uncompressed video. For example, it can compress an AVI file from 50MB to 40MB within a minute. Its excellent compression ability not only saves space on the hard disk of computer and makes the transmission of video over a network speedy. 3. Xvid video can be accepted by TVs or DVD/BD players. To download the free Xvid Codec on Windows 7 or Windows 10 PC safely, you are suggested to go to the official site of Xvid. Similarly, some trustworthy online download sites, such as download.cnet.com are also providing the download opportunities. If you deem the installing of video codecs too fussy, you can just get a free all-in-one media player that can play Xvid and any other videos without installing any codec by your own. 5KPlayer will help you play Xvid encoded MP4 videos on PC or Mac without the need of installing an Xvid code. Better still, this VLC alternative almost plays everything and does more than you think – All For Free! - Play videos in any formats and any resolution. - Play any audios, DVDs and radios perfectly. - Download online videos and music; AirPlay stream audio video. How to Convert Xvid Video on Windows 10 for Flexibly Playback? The second group of folks believes that Xvid video is not that common than other encoded videos. For example, they may turn to Matroska (MKV) format when it comes to high definition, because Xvid is "lossy" compression. Besides, the compression feature is not compatible with all video formats. When attempting at compressing an MP4 file using Xvid codec, user may get an error. Complaints often go around like the interface of Xvid codec is not instructive and inspired. From Wikipedia: Files encoded with global motion compensation, Qpel, MPEG quantization, multiple B-frames or files that exceed the Video buffering verifier limitations may not play back properly on DivX Certified hardware devices. For all the reasons above or some other factors to consider, some may ask "how do I convert Xvid to MP4". The question is somewhat amphibolous. The outcome of Xvid encoded video, from what we've said, is MP4 video. 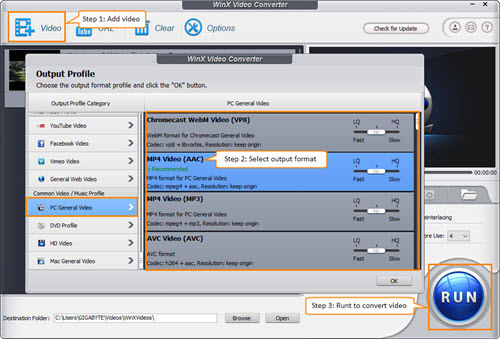 But if you aim to make the MP4 video friendlier with iPhone 7, iPad Pro, Android smartphone, Xbox, PSP and more devices, or to convert Xvid to AVI, you can rely on a free video converter – WinX Video Converter. Convert Videos and Make All Videos Easily Playable! WinX Video Converter is a clean and free Windows 10 app for video conversion and compression. - Convert Xvid, DivX, MP4, MKV, MOV, H.264, WMV videos and more. - Convert from HD to HD, SD to SD, HD to SD without detectable quality loss. - Change between 4:3 and 16:9 aspect ratio, crop, trim, merge videos. 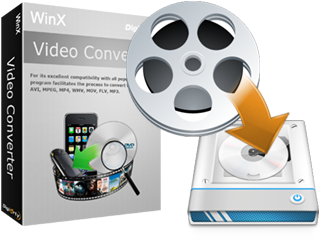 Preparation: get the Xvid video on HDD; download and install WinX Video Converter. Step 1. Open the software, click "+Video" on the interface and browse in your computer to add the source video. Step 2. Choose an output format. It allows you to convert Xvid video to PC/Mac general videos, DVD videos, HD videos, web videos, YouTube/Facebook/Vimeo videos, etc., or enable you to playback Xvid video on different devices such as iPhone and iPad. Step 3. Strike the round "Run" button and start converting the Xvid codec encoded video to any format you want. 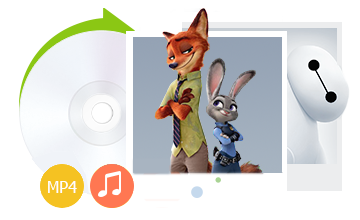 Xvid encoded files can be written to a CD or DVD and played in some (but not all) DivX compatible DVD players and media players. [Answered] Dose iPhone 8 Play HEVC/H.265 Video Natively?